With the start of IMO2020 rapidly approaching, almost all of Singapore's licensed bunker suppliers say they have plans to offer 0.50%S complaint bunkers within the next year, while three quarters of suppliers will also continue to supply HSFO bunkers. 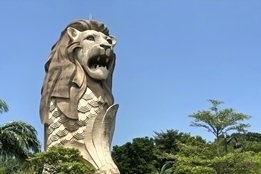 The information came to light after the Maritime and Port Authority of Singapore (MPA) released details of exactly which bunker products its suppliers will make available at the port, and when. The list gives details on the supply plans for 49 of the 50 currently licensed bunker suppliers in the port. Brightoil, whose entire Singapore bunker tanker fleet remains under arrest after being detained last November, is the only currently licensed supplier that does not feature on the list. There are 32 players with max 0.50%S LSFO supply plans. Nine of those will make it available in Q3 of this year, and 18 - including 2018's number one ranked supplier Ocean Bunkering Services - will make it available in Q4. Three plan to start supply in Q1 of 2020. Ahead of the pack are Equatorial, who say it will make LSFO available in June, while Hong Lam Marine is the only supplier to already have the 0.50%S LSFO product available today. There are 42 suppliers who have a 0.50% max sulfur distillate available now, while Matrix Marine Fuels says it will have availability in Q4 2019. BP says its 0.50%S distillate and LSFO products will be available "subject to demand". For vessels equipped with scrubbers, 37 suppliers says they will continue to offer HSFO. All but two of those - Global Energy and Matrix Marine Fuels - were ranked in the top 30 suppliers for 2018. Plus, U.S. granting Iraq exemption extension against Iran sanctions may ease geopolitical tension.